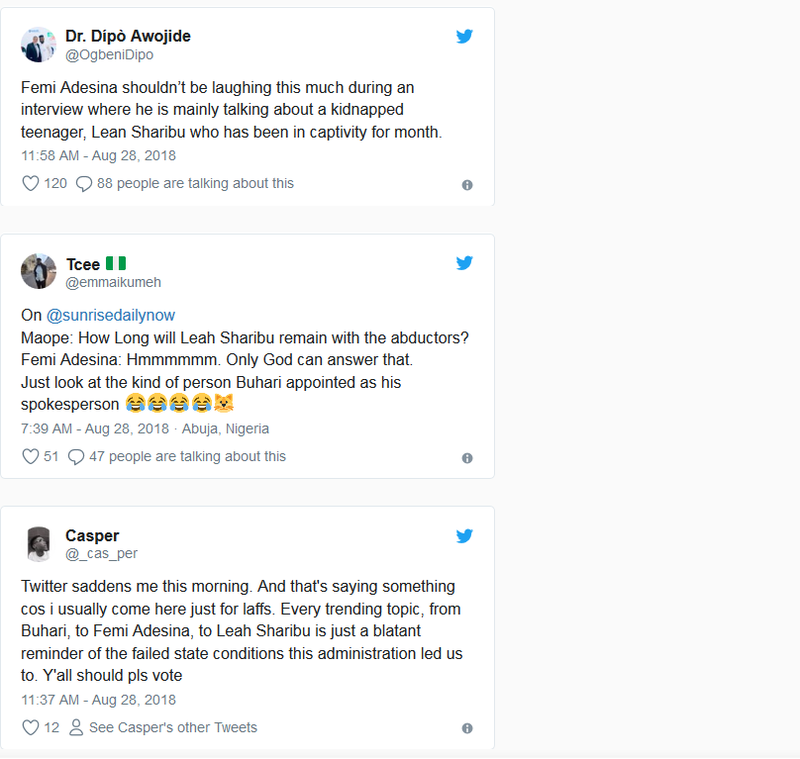 Nigerians have been reacting to the statement made by Femi Adesina, the special adviser on media and publicity to the president, on the matter of kidnapped Dapchi girl’s return. 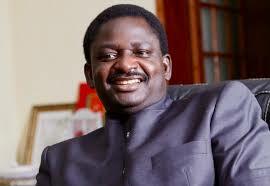 On a Channels TV morning programme, Adesina was asked when Leah Sharibu would be rescued from Boko Haram. He said, “When will she be back? That question can only be answered by God, but I believe that God is interested in that young girl,” he said. 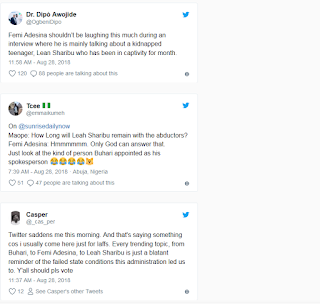 Since his statement, Twitter users have been sharing their own opinions.